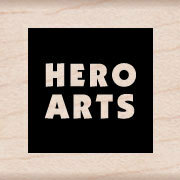 Hero Arts Water MIST SPRAY BOTTLE Mister WM101 at Simon Says STAMP! wm101 This item is on reserve until If you would like to reserve this item now, you may purchase it now with the rest of your order. We will hold your order now and ship your entire order as soon as this item is back into stock. If you would like your order to ship now, please place this item on a separate order. Success, Hero Arts Water MIST SPRAY BOTTLE Mister WM101 has been shared! Simon Says: Hero Arts has made this handy mist sprayer to help us watercolor! Try "painting" color directly onto the rubber surface of a stamp. Try painting an image that's already been stamped. Mist with water and stamp on paper to add vibrancy and depth to your impressions. Or use pencils to add color to your stamped image, then mist for a spectacular effect! Pencils and watercolor wheels are sold separately in our ebay store. OR YOU CAN FILL THIS Bottle up with stamp cleaner and use it to clean your stamps!!! Bottle holds 2 fluid ounces.